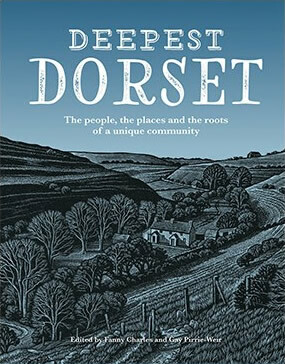 Deepest Books began with the publication of Deepest Dorset in September 2016. The intention was to create a full colour hardback that approached the county of Dorset from a different and varied perspective, of course mentioning the history and the landscape, and the iconic places, but also finding out stories about the people who live and work in the county, quirky facts, places to visit and stay and how to make the most of time spent either as a resident or a holidaymaker. It was so successful – raising more than £40,000 for the beneficiary charities Dorset Community Foundation, Dorset and Somerset Air Ambulance and Weldmare Hospicecare Trust – that we started looking at a second book. Our intention was Somerset. Then we were approached by Wiltshire Community Foundation, one of whose ambassadors was about to become High Sheriff. She wanted a Wiltshire book published during her shrieval year. We have just made the deadline, publishing Deepest Wiltshire on 28th March 2019, days before she hands over to the new High Sheriff. 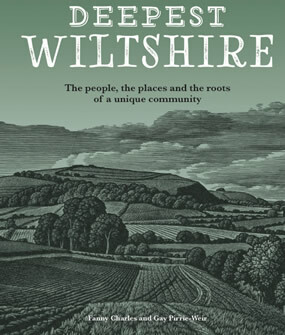 Deepest Wiltshire follows a similar format, with special features on the Church and the Military, both central to life in the county. We are grateful to the contributors, many of them well known writers, archaeologists, artists, musicans, sportspeople and wildlife experts. Both books have been edited and substantially written by Fanny Charles, former editor of the Blackmore Vale Magazine and its sister publications the Fosseway and Stour and Avon Magazines, and Gay Pirrie-Weir, another journalist who has worked extensively in the region. The Deepest Books publications would not be possible without the support of The Rothermere Foundation, a charitable trust which has paid for the printing, design and authorship of the books.